2) Provide details about your professional qualifications. If you are an Assistant or Purchasing Agent, see below for two ways to proceed. Because many products sold by PAR are available only to appropriately trained professionals, it is important that the person using the test is qualified at PAR. 1. Have the qualified professional who will be using/supervising the use of the materials register on our website. After registering, he/she will have the option to add you as an Assistant/Purchasing Agent through the My Account page. Click Here for more information. 2. If you believe the qualified professional has already registered with PAR, call 800.331.8378 to allow us to search our records. 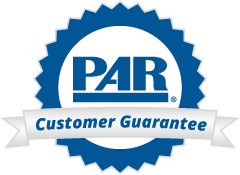 If you have previously ordered with PAR, you have been assigned a Customer Number. It appears on the back of your catalog, on invoices, and on shipping lists (under "Bill To"). Please enter it here so that we can connect your registration with your purchase history. If you do not know your Customer Number or if you have not ordered with PAR before, leave this blank.